TIP: This is by far the best-located hotel in Zagreb. On one hand, it offers great value, on the other you are next door to the city’s main Ban Jelačić square. Hotel Dubrovnik Zagreb with its 90-year-old tradition offers a mixture of traditional values and modern comfort. With its new face and old charm, it provides a warm and friendly environment. They recently renovated all of their double rooms and suites with classical décor and modern amenities. 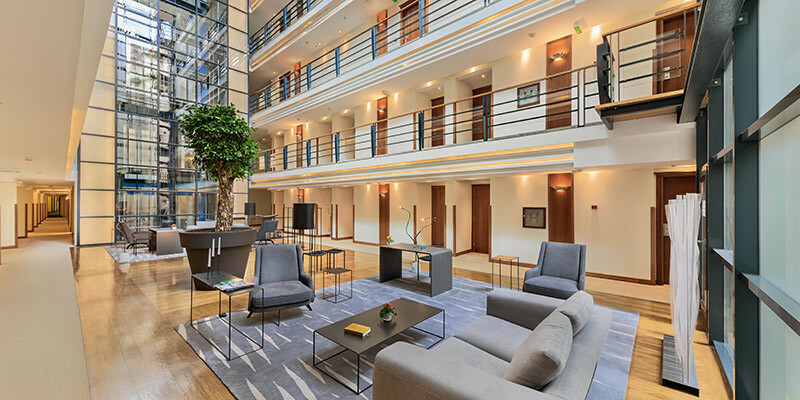 Today, the hotel features 214 rooms and 8 suites balancing tradition, classical beauty, excellent service and modern facilities in the heart of Zagreb. We recommend it to Couples as the hotel offers a relaxing atmosphere in the heart of Zagreb. The best place to start off exploring the city. Families are welcome because the hotel features Family room and Suites. Children up to 6 years old are free of charge whilst children from 7 to 16 pay 20 EUR extra. The hotel is also located in a pedestrian zone so it is safe for kids. Regarding business travellers, from hotel Dubrovnik, you have easy access to the entire city and after the working day, you can easily access numerous Zagreb Attractions. They also offer free access to their business centre. At the American Steak and Grill House, you can enjoy American cuisine and barbecue. They have great T-bone, New York and Porterhouse steaks. The Dubrovnik Cafe, on the other hand, is a local meeting spot. It hosts Zagreb’s business and cultural milieu. What is close by to Hotel Dubrovnik Zagreb? In one word, everything. 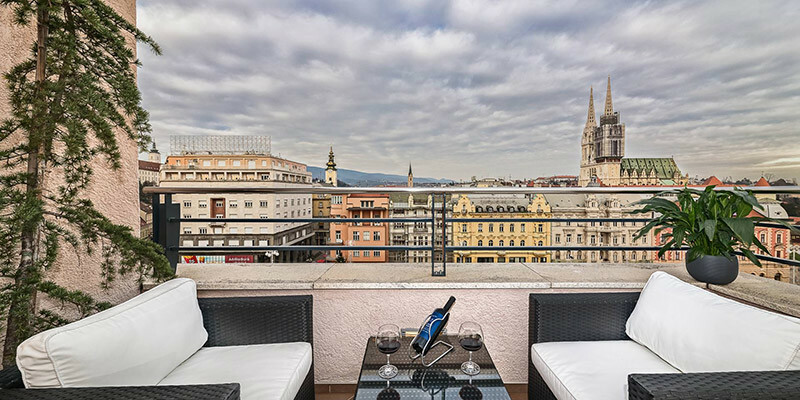 You are located in the heart of Zagreb with easy access to most Zagreb Attractions. In each direction, you have one of Zagreb’s top attractions. We recommend using their parking as the hotel is in the centre of Zagreb and parking in Zagreb can be a challenge. The hotel parking lot is not a part of the building but it is within easy reach. The hotel charges parking 14 EUR per day. Although the hotel and parking are within pedestrian zones you can go to the hotel parking by car. You will find a portable phone located on the ramp. Feel free to read the guide on how to find hotel Dubrovnik parking. It has limited parking space, in this case, the closest parking garages are Lango Square or Petrinjska Street. Read the guide on Zagreb Parking for more information.